As part of Emerson Network Power, Liebert technology delivers flexible, efficient and ultra-reliable solutions that protect and support business-critical technology systems. Liebert power and cooling technologies deliver a high return on investment by preventing the downtime that can cripple a business. But their value extends beyond providing the highest possible IT system availability. Liebert technologies are designed to help companies address and manage the continuous change that is occurring in technology systems. They enable a dynamic critical infrastructure that reduces the time and cost associated with growing, reconfiguring or consolidating IT systems and facilities. Liebert technologies are also a critical part of a comprehensive program to increase the efficiency and reduce operating costs of IT facilities. Innovative Liebert ups and Liebert Air Conditioning can drive down energy costs while capacities increase. 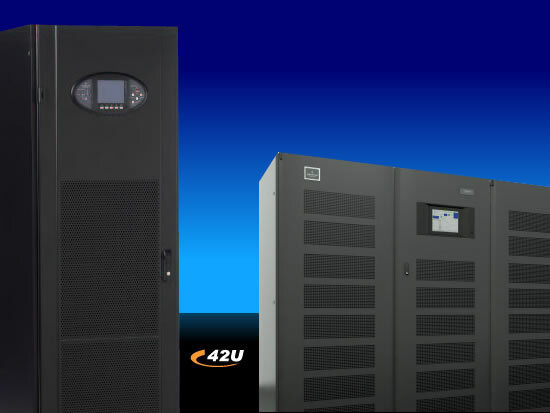 42U's Vision is to inspire corporate responsibility in energy efficiency and be a leader in providing technology and vendor agnostic information, suggestions, and solutions for making data centers more energy efficient.